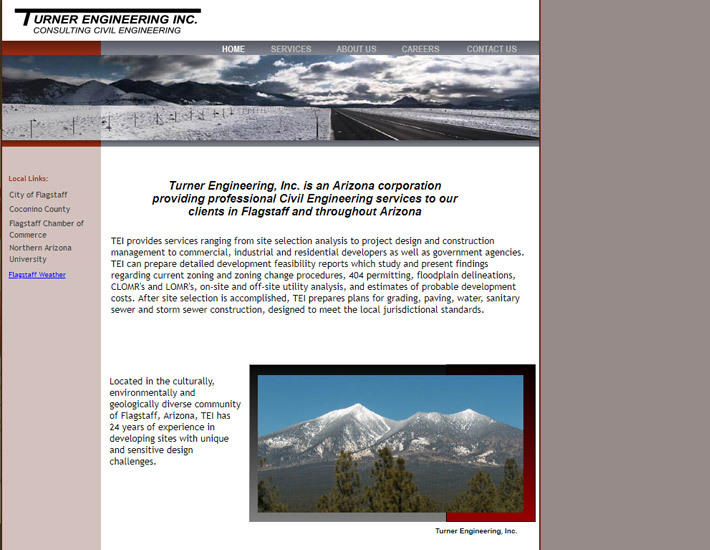 Turner Engineering, Inc. (TEI) is an Arizona corporation providing professional Civil Engineering services to clients in Flagstaff and throughout Arizona. Their focus is on their clients – so much so that their website had fallen far behind in its technology and user experience. 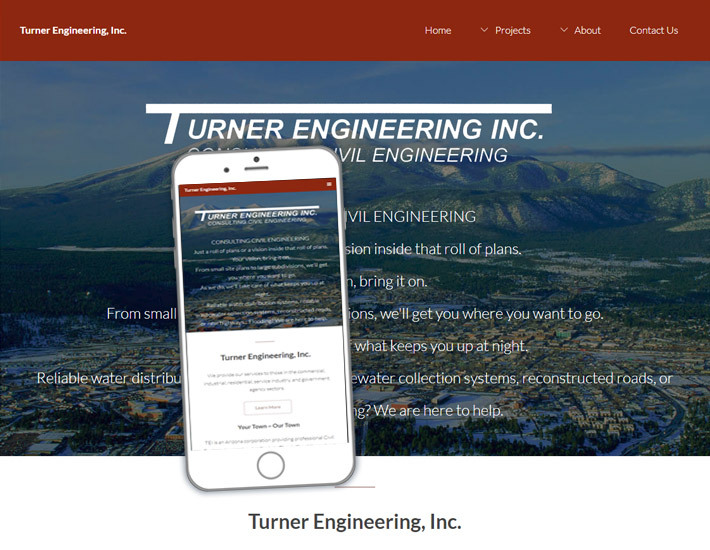 We went on a journey together and the owner was thrilled to launch this new site. Witness the result here!